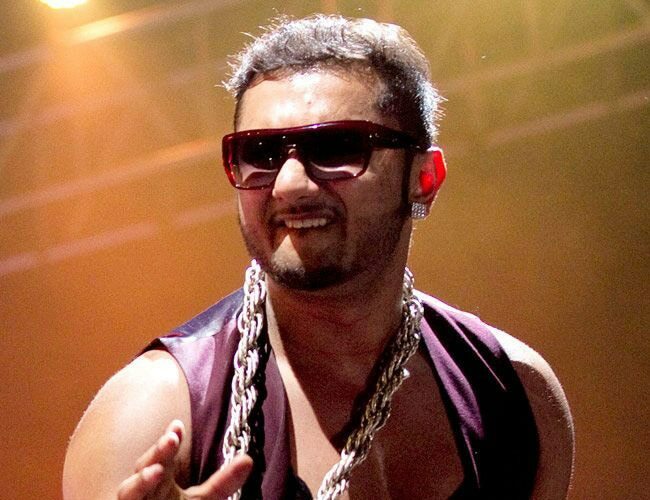 Honey Singh scares away wild boars in Nainital! Home bollyfmblog Honey Singh Whats New Yo Yo Honey Singh Honey Singh scares away wild boars in Nainital! Villagers have put up loudspeakers that play the latest songs of Yo Yo Honey Singh and other Punjabi singers at full blast and that quite often drive away not just the boars but other wild animals. Wild boars have wreaked such havoc in Uttarakhand's agricultural fields that the government has been forced to declare them pests and sanction their culling. That hasn't helped much though, as the beasts are as strong as they are evasive. Farmers have now had a brainwave -- and it seems to be working. They have put up loudspeakers that play the latest songs of Yo Yo Honey Singh and other Punjabi singers at full blast and that quite often drive away not just the boars but other wild animals. Bishan Jantwal (48), a farmer at Dhari village of Nainital district, who has installed loudspeakers around his farmland to protect his potato crop, seems happy to see that the idea is working. "I used to hear from elders in the house that wild animals avoid places where there is a human habitat. I thought of playing music to let them know of human presence. And it has worked," Jantwal said. Gradually, others in nearby villages also picked up the idea, which has now become talk of the town. The initiative, started in October, involves less investment than usual practices adopted by the government departments such as playing recorded voices of tiger and other wild animals. To top it all, neighbours who enjoy the latest numbers all daylong are not complaining either. The setup includes calculated installation of logs on which loudspeakers are mounted - which are then connected to music systems in houses situated closest to agricultural fields. "Apart from party songs with high musical notes and loud beats, we also play bhajans which have similar effects over wild boars and other species like jackal, nilgai and others," Jantwal added. Last year, farmers of the region were left bankrupt after wild animals destroyed their crops of potato, tomato and wheat. Various measures, including guarding the fields 24x7, beating tin and aluminum sheets and iron cans aloud to repel the wild failed to curb the menace. Officials from the forest and agriculture departments suggested playing recorded voices of tiger and other wild animals which worked initially, but failed to have any effect on animals later. Sangram Bisht (38), another farmer from Taadikhet block of the district, said, "The idea is hit across the region and we are grateful to Bishan for sharing it with us. Now we will be able to feed our families at least."